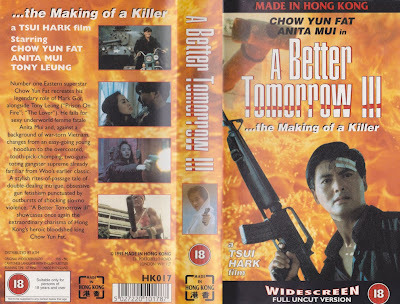 Tsui Hark's A Better Tomorrow III was released by M.I.H.K in 1995 with the catalogue number HK017. 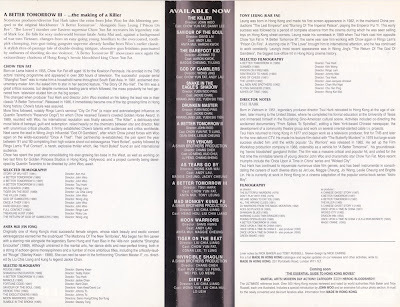 The cover and liner notes are below the text, click to see them full size. After the fallout between John Woo and Tsui Hark while making A Better Tomorrow II, the two filmmakers went their separate ways. 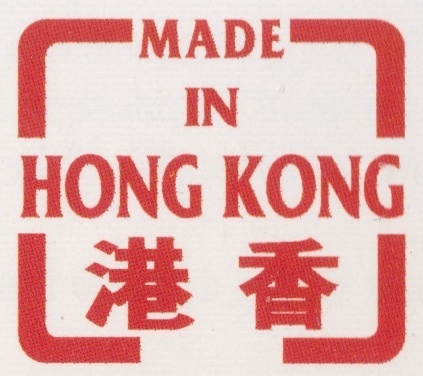 Woo taking his outline for the third Better Tomorrow film and turning it into A Bullet In The Head, and Hark developing another Vietnam set idea to tell the back story of Chow Yun Fat's Mark Gor. 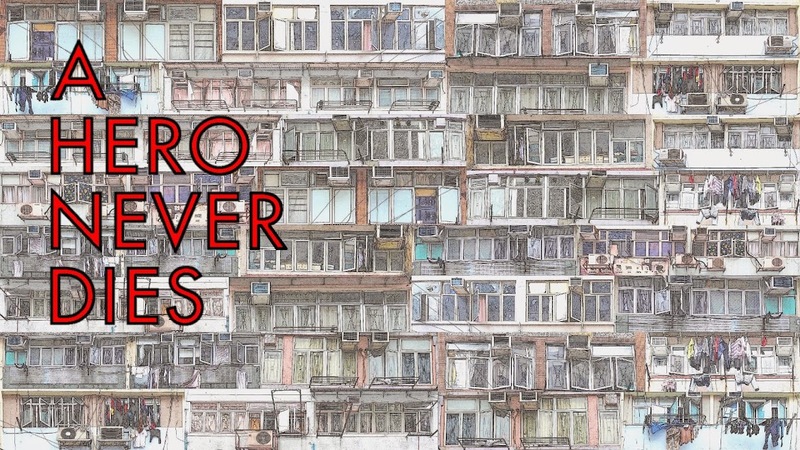 Hark's film is a solid drama punctuated with excellent action sequences, which unfortunately seems to be criminally underrated by many fans of Hong Kong cinema. With excellent performances from Chow Yun Fat and the late Anita Mui, what's not to love? 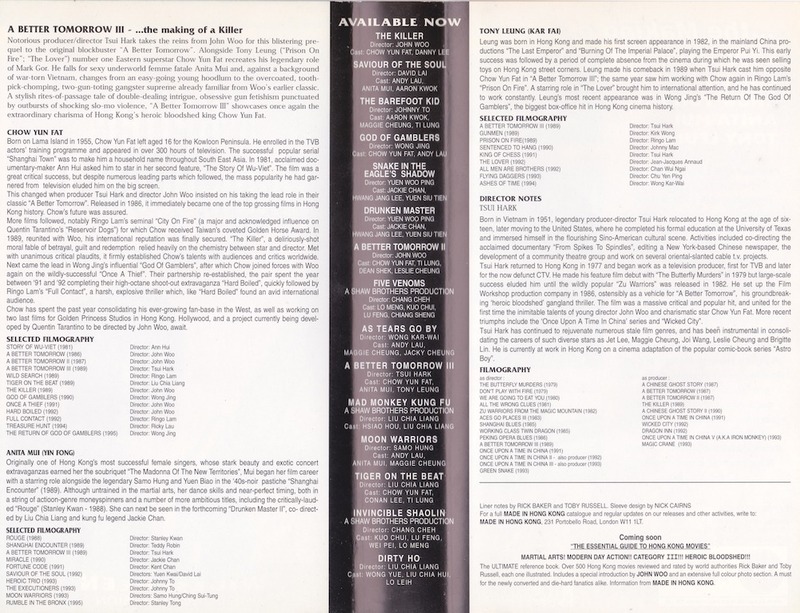 The MIHK tape presents the shorter version of the movie, rather than the extended Taiwanese cut.